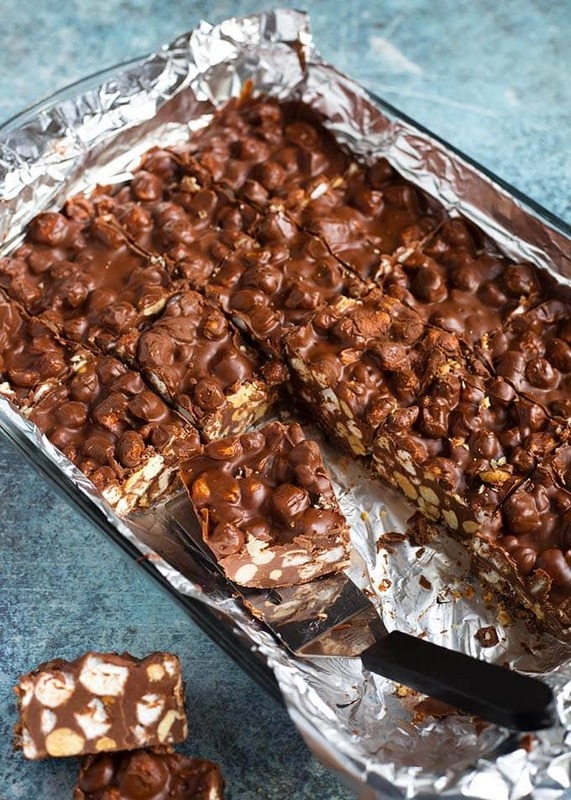 5 Ingredient Chocolate Peanut Bars are the perfect sweet treat. When you are craving chocolate, and want a touch of salt with it, the dry roasted peanuts add the right amount of salt and crunch. But I didn’t stop there! 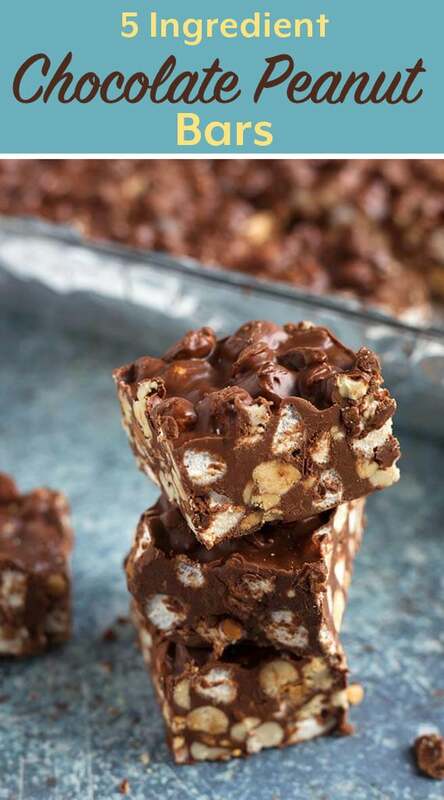 Marshmallows and butterscotch accent this rich, decadent chocolate dessert bar! I’ve been making these yummy treats for about 10 years. I was given the recipe from a coworker, and over the years I played with it a little and made it my own. 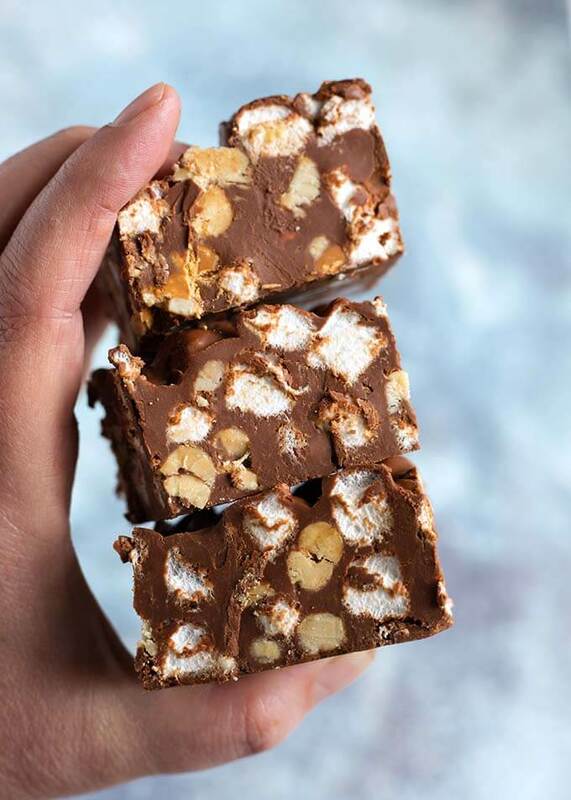 No-bake dessert bars are more popular than ever. In the summer, it’s nice to be able to make a decadent treat without turning on the oven. And without having to use a lot of stuff. 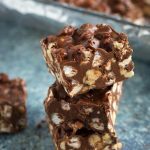 5 Ingredient Chocolate Peanut Bars are simple, but they taste AMAZING! 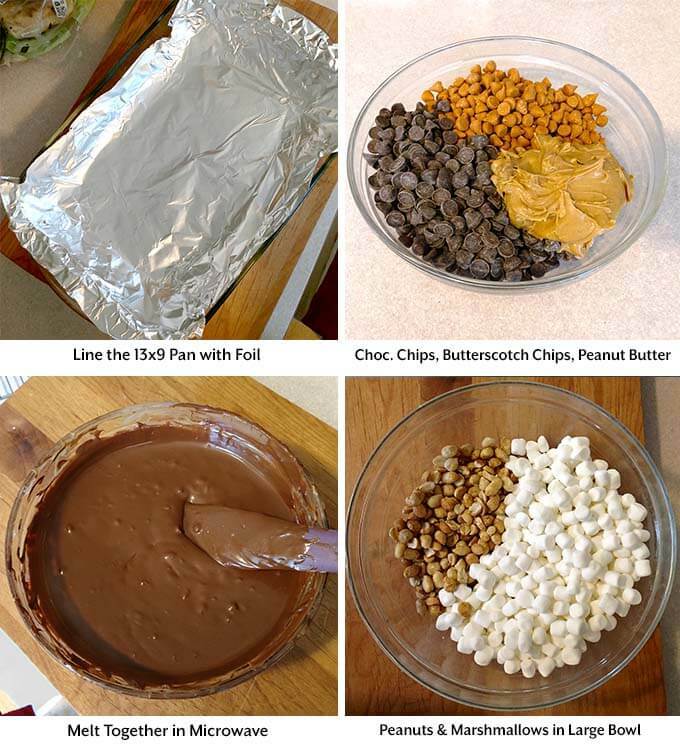 The 5 ingredients are Chocolate chips, butterscotch chips, peanut butter, mini marshmallows, and dry roasted peanuts. You can get about 40 small pieces, or 20 larger pieces from this recipe. 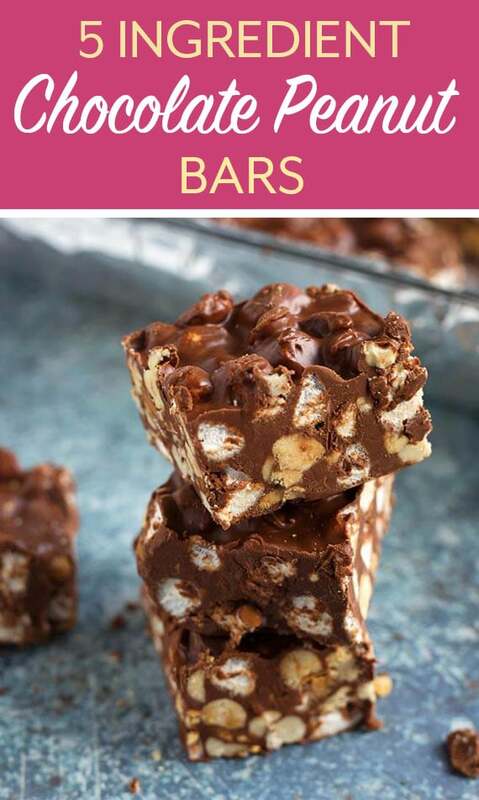 These tasty dessert bars are pretty rich, but cut them any size you want! When I make these 5 Ingredient Chocolate Peanut Bars, I have to give a lot of them away. I like them a little too much! I haven’t had any complaints! This is a great recipe to make with kids. They will have fun making and eating these delicious treats! 5 Ingredient Chocolate Peanut Bars are the perfect sweet treat. When you are craving chocolate, and want a touch of salt with it, the dry roasted peanuts add the right amount of salt and crunch. 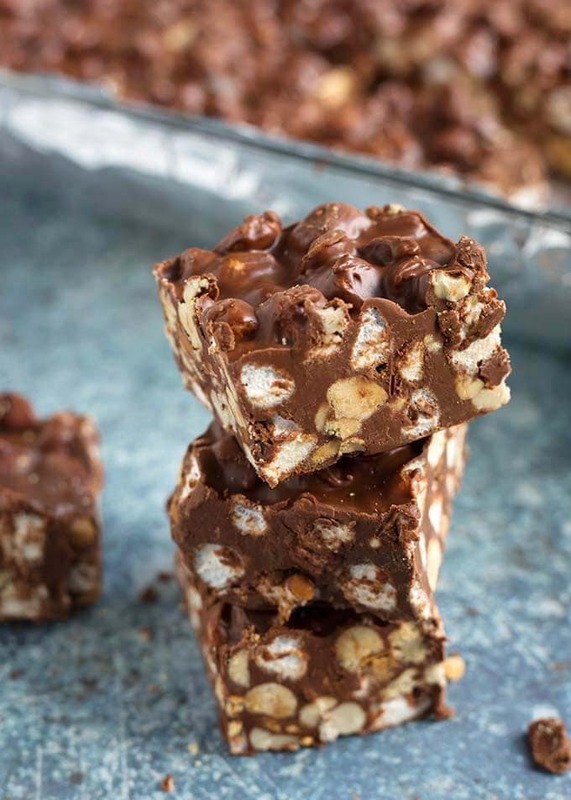 Marshmallows and butterscotch accent this rich, decadent chocolate dessert bar! Line a 9x13 inch pan with foil. Set aside. In a microwave safe bowl, add the chocolate chips, butterscotch chips, and peanut butter. Microwave for 1 minute, then stir well. Microwave again for 30 seconds and stir well again. If you need to, microwave again for 30 seconds, etc., until you end up with a creamy and smooth mixture. 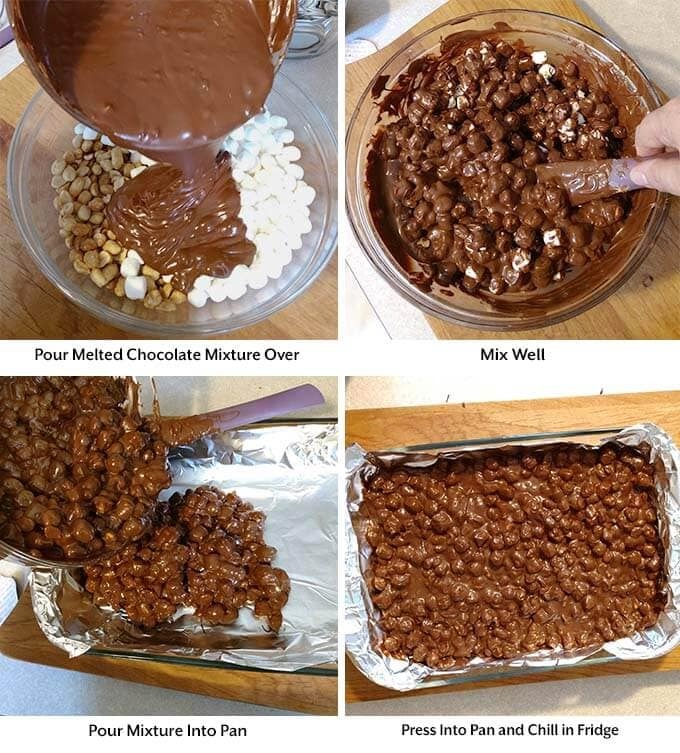 Meanwhile, add the mini marshmallows and dry roasted peanuts to a larger mixing bowl. Pour the mixture into the foil lined pan. Spread it out evenly and press it into the pan. Put in the fridge to chill and harden. Then cut the bars into the size and amount of bars you would like. These are delicious! I love the sweet with a little salt from the peanuts. My husband really enjoyed them too. This was easy to make so it will be a treat we make often! Hi Carrie! I’m glad that you and your husband enjoyed these! I also like that salty/sweet combo. The salt being very light makes it not overpower the other flavors. Thank you for your review!